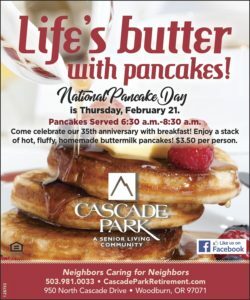 Come celebrate National Pancake Day at Cascade Park! Thursday, February 21. 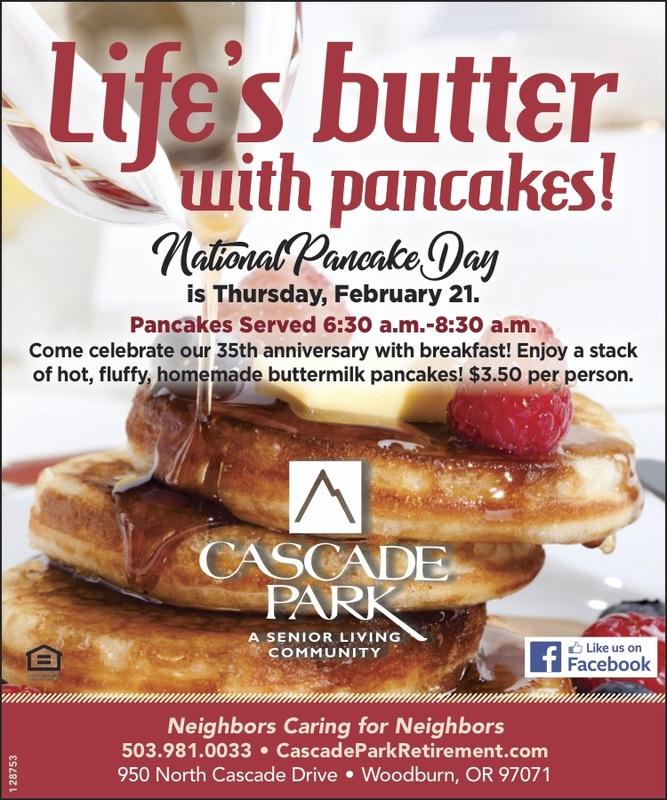 Pancakes Served 6:30 a.m.-8:30 a.m. Come celebrate our 35th anniversary with breakfast! Enjoy a stack of hot, fluffy, homemade buttermilk pancakes! $3.50 per person.